The dedication of the Ideal Continental Liaison Office for the United Kingdom July 18 launched the next phase of expansion for the Church. More than 1,500 Scientologists from across the United Kingdom attended the ceremony. Chairman of the Board Religious Technology Center, led the dedication ceremonies. Scientologists were on hand from across the UK for the celebration. The anticipation was palpable as all those present awaited the moment when Mr. Miscavige would cut the ribbon on the new Continental Liaison Office for the United Kingdom. The unprecedented growth and epic escalation of the Church of Scientology continued its ambitious movement forward with the grand opening July 18 of the new Ideal Continental Liaison Office of the United Kingdom. The dedication touched off a joyous celebration amongst the more than 1,500 Scientologists and their guests in attendance. Scientologists from throughout the United Kingdom traveled to East Grinstead to be on hand for the historic dedication of the Ideal Continental Liaison Office for the UK. The grand opening of the new Continental Liaison Office drew crowds from across the UK, eager to be part of history—the next step in the unabated expansion of the Scientology religion. The new Ideal Continental Liaison Office in Sussex, England, is the center of ecclesiastic management for Scientology Churches, Missions and groups across the United Kingdom. The Continental Liaison Office for the UK is charged with the establishment and implementation of Scientology activities throughout the nation. The Continental Liaison Office reception area welcomes Church and Mission executives, ecclesiastical ministry staff, and representatives of every sector of Scientology for conferences and training. The Continental Liaison Office of the UK houses state-of-the-art studios for producing audiovisual materials for distribution throughout the United Kingdom. The Staff College provides administrative and ecclesiastical training to Continental Liaison Office staff and Church ministry from across the UK. Offices for the Association for Better Living and Education, ABLE UK, direct the proliferation of Church-sponsored social betterment organizations that address illiteracy, character education, and criminal and drug rehabilitation. World Institute of Scientology Enterprises, WISE UK, oversees a membership of business owners and consultants who apply L. Ron Hubbard administrative technology in the secular business community, and establishes Hubbard Colleges of Administration. The UK Office of Scientology Missions International sees to the establishment and training of new Scientology Missions and their staff, and organizes conferences for Mission executives to work together on coordinated plans to expand their ministries. The Continental Liaison Office provides conference facilities for coordination of the ecclesiastic management of all Scientology Churches, Missions and groups in the UK. Comprising five buildings on 43 acres, the Fonthill Lodge was erected in 1808 and stands as a cherished landmark, bordering the Ashdown Forest that typifies the beauty of the region. The dedication of the new Continental Liaison Office UK heralds the dawn of a new era for the United Kingdom through the application of Scientology and Dianetics and the broad implementation of humanitarian and social betterment programs the Church supports. Saint Hill Manor, L. Ron Hubbard’s home, nestled in the rolling downs of Saint Hill. It was here that Mr. Hubbard completed his research into the state of Clear and launched the first of the advanced spiritual levels. Internationally renowned as the home of Scientology Founder L. Ron Hubbard, Saint Hill Manor is also amongst the most historically significant estates in Sussex, meticulously restored and renovated in honor of Mr. Hubbard’s Centennial (1911-2011). Originally designed in the 1960s by L. Ron Hubbard when he lived at Saint Hill, the Castle was built to accommodate the growing number of Scientologists coming to the UK for the Saint Hill Special Briefing Course and Scientology advanced spiritual levels. Opened in 2006 on Queen Victoria Street in the heart of the city, the London Church sets the standard for Scientology Churches in the country. The Centre on Tottenham Court Road presents hundreds of films on Dianetics and Scientology and a biographical presentation on the life of L. Ron Hubbard. It also provides the entire range of Dianetics and Scientology Introductory Services. Founder L. Ron Hubbard’s London office and Scientology Organization stands as a fully restored landmark in the legendary Fitzrovia neighborhood. Key next step in expansion of the Scientology religion unfolds on the hallowed ground of Saint Hill Road, a stone’s throw from Founder L. Ron Hubbard’s historic home and the Church’s Advanced Organization for the UK. The historic momentum just keeps on building for the Church of Scientology, whose unprecedented growth and epic escalation continued its ambitious movement forward with the grand opening July 18 of the new Ideal Continental Liaison Office of the United Kingdom (CLO UK) on Saint Hill Road—touching off a joyous celebration amongst the more than 1,500 Scientologists and their guests in attendance. Destiny came knocking when the ideal property to strengthen the Church presence was found literally across the road from Saint Hill—comprising five buildings on 43 acres. The Fonthill Lodge was erected in 1808 and stands as a cherished landmark, bordering the Ashdown Forest that typifies the beauty of the region. It serves as the perfect site to house the ecclesiastical management activities covering every sector of Scientology in the UK. That includes the Churches and the Advanced Organization that deliver the Scientology Bridge, as well as Scientology Missions and affiliated groups. CLO UK is also responsible for, and has offices dedicated to, the establishment and expansion of the Church-supported humanitarian initiatives as well as the Church-sponsored social betterment organizations that address illiteracy, criminal rehabilitation and drug rehabilitation—including the new Ideal Continental Narconon opening in Maynard Greens, East Sussex, in the coming months. These newest UK facilities stand tall as the stronghold for all activities in the UK continental zone and a stirring companion to Saint Hill, Scientology Founder L. Ron Hubbard’s home and the Church’s international headquarters in the 1960s. It was also where Mr. Hubbard completed his research into the state of Clear and launched the first of the advanced spiritual levels. During the years Mr. Hubbard resided at Saint Hill, Scientologists from around the world poured into East Grinstead to attend the famous Saint Hill Special Briefing Course where he delivered more than 400 lectures to students, imparting his latest research and development breakthroughs. It was also at Saint Hill that Mr. Hubbard discovered and codified the basic laws of organization, the pattern for all Scientology organizations the world over. He built Saint Hill into a large, thriving organization in a matter of months. In fact, “Saint Hill Size” remains the benchmark for all Scientology Churches to achieve and maintain. With the July 18 opening, this becomes the second Ideal Continental Liaison Office in the world. 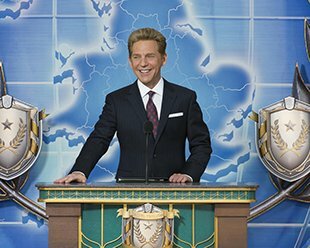 The first was dedicated by Mr. Miscavige in October 2014 in Copenhagen, Denmark, serving the whole of the European continent. In terms of bold plans for Scientology expansion throughout the UK, the CLO opening represents merely Phase 1—following on the heels of the historic and unanimous UK Supreme Court ruling affirming Scientology’s status as a religion in 2013. Shimmering new Ideal facilities will open for Saint Hill itself in the coming months, including a new wing for the LRH-designed Saint Hill Castle to accommodate greatly increased delivery of religious services. That will be followed by the opening of new Ideal Scientology Orgs for Birmingham, Manchester, Plymouth, and Sunderland, with new Ideal Churches also planned for Brighton and Edinburgh. These will join the Ideal Org of London, on Queen Victoria Street in the heart of the city, along with London’s Dianetics and Scientology Life Improvement Centre on Tottenham Court Road and Fitzroy House, the historic home of Scientology in London during the 1950s. Together these landmark Churches complete Scientology’s profoundly increased UK presence. The Church of Scientology has enjoyed greater expansion during the past decade than in the previous 50 years combined. The first half of 2015 bears this out, marked by historic achievements for the religion. These include the July 11 dedication of the Scientology Information Center at the Church's spiritual headquarters in Clearwater, Florida—along with six new centers to make Church-supported humanitarian programs readily available to the Clearwater community; dedication of the majestic Ideal Church of Scientology in Bogotá, Colombia, on July 5; and the opening two months ago of another Ideal Church of Scientology where France, Germany and Switzerland converge: in Basel, Switzerland. More openings are planned in Asia, Europe and North America in the months ahead.